Designed to help the body with shutting off the lights for restful sleep. Melatonin is a hormone that helps regulate your internal clock. High relative levels of melatonin help signify that it is time for your body to sleep. Let’s face it; we humans rarely abide by the Earth’s natural day/night sleep cycles. Electricity has created artificial light (not to mention television!) to allow all manners of work and play to exist deep into the dead of night, and most sleeping quarters provide blinds or curtains to block out the arousing rays of the morning sun. The result is that some of the mechanisms that have evolved inside us to assist with the sleep process have been thrown askew. One of these mechanisms involves the hormone melatonin. In a normal, pre-electricity scenario the pineal gland would release melatonin at the onset of darkness to help induce a desire to sleep. However, artificial light, especially high-frequency blue light from visual electronics has been known to shift the release of melatonin, which can perturb sleeping patterns. Ingesting supplemental melatonin in our ready to go spray can help the body signify to you when it is time for your body to sleep. In assisting the body’s natural desire to rest, the melatonin can help the body to enjoy a more restful sleep experience. By placing the melatonin in a spray format, with two delicious breath-freshening flavors, you have a fast and simple delivery system for this vital sleep hormone. 1)Limit blue light exposure during night time hours. Use blue light filters on your phone and laptop when available. 2)Stay hydrated and mineralized. Onnit Key Minerals and himalayan salt are great to take before bed. 3)Distance yourself from high output electrical devices. 4)Block out windows and curtains, so that melatonin stays high until you are ready to wake up. 5)Avoid high sugar foods before going to sleep, to maintain steady blood sugar and insulin levels. While three milligrams (6 Sprays) is the recommended serving size, there is good research indicating that less than a milligram (1-2 sprays) is all you need to nudge your body toward sleepiness. 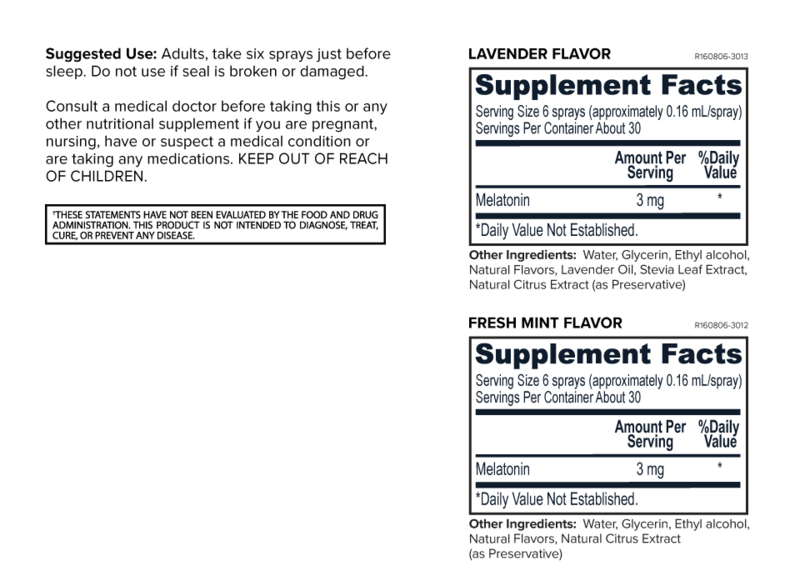 We recommend experimenting to determine what the right amount of melatonin is for you. 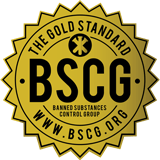 The BSCG Certified Drug Free program represents the gold standard in third party dietary supplement testing and certification for banned drugs. Overseen by renowned drug-testing pioneer Dr. Don Catlin and his son Oliver Catlin, BSCG’s rigorous science-first program provides assurance that products and ingredients are free of drugs and other harmful agents that can lead to health concerns or positive drug tests. The BSCG Certified Drug Free standard testing menu covers 483 drugs, more than any other program available. This includes 272 drugs on the World Anti-Doping Agency (WADA) Prohibited List and an additional 211 illicit, prescription, and over-the-counter drugs not banned in sport.